Cucumber Mojito. The classic Cuban cocktail is reinvented as a refreshing tea blend paired with cooling cucumber and herbaceous green tea. Enjoy Ernest Hemingway’s favorite drink with a twist – try over ice with fresh mint sprigs. Gun Powder Mint. 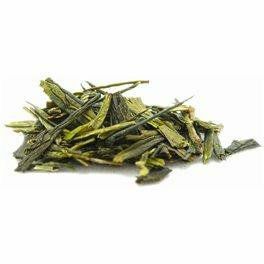 Hand-rolled into tiny pellets, this green tea gracefully unfurls to produce a full-bodied cup with a hint of smokiness. 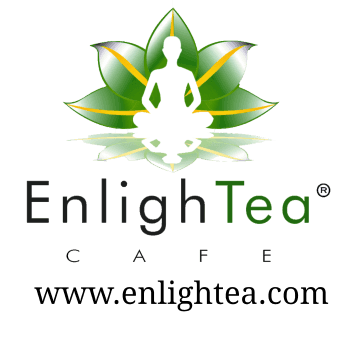 This tea is rich in antioxidants, with very little caffeine. Also known as Lung-Ching, one of the most famous China green teas. Hand processing and pan-frying creates the signature flat shape. 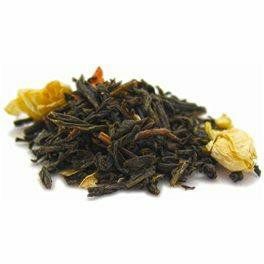 Its exquisite chestnutty flavor and delicate aroma are perfect any time of the day as a picker-upper and makes a great iced tea. Low in caffeine. Green Walnut. Organic green tea is blended with roasted walnuts and toasted coconut, to create a nutty, sweet and warming cup – a sure crowd pleaser that’s also perfect for a cozy afternoon at home. Naturally low in caffeine. 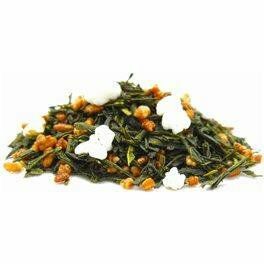 Genmaicha, Japanese for “brown rice tea” is a traditional blend of green tea and roasted rice. 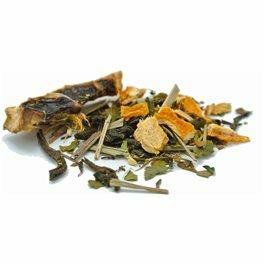 Mild in flavor, fragrant with a hearty “toasty” aroma, and less caffeine than most green teas, Genmaicha is a warm and satisfying cup any time of day. 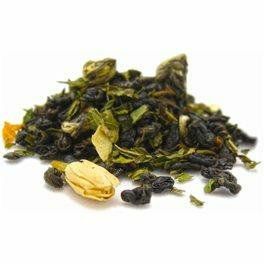 Widely consumed throughout the world, this green tea is hand-rolled into tiny pellets that gracefully unfurl to produce a full-bodied cup with a hint of smokiness. 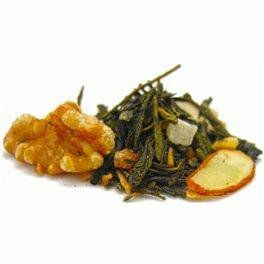 This tea is rich in antioxidants, with very little caffeine. Ginger Citron Mint. 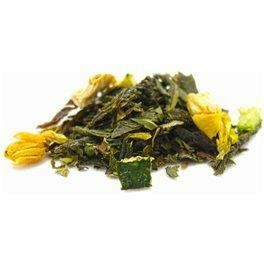 Invigorate your senses with this refreshing combination of natural lemon, peppermint and organic green tea. Enjoy this delightful beverage hot or iced with fresh lemon or lime. This classic whole leaf China green tea from Fuzhou is scented and layered with jasmine blossoms to create a delicately floral cup with a hint of sweet jasmine. 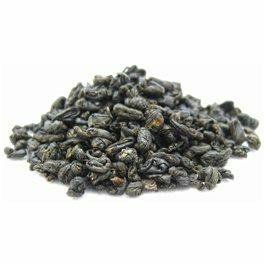 An ancient brew, this enduring Chinese specialty dates back 800 years to the Song Dynasty. Perfectly refreshing hot or over ice. Wild Blueberry. Who can resist the sweet smell and taste of fresh blueberries? 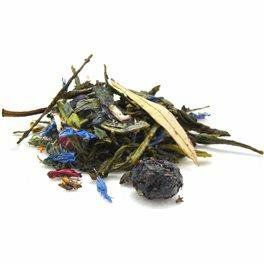 Enjoy them as you sip this healthful blend of organic green tea and blueberries with a touch of fruity, tart hibiscus. Naturally rich in antioxidants and low in caffeine.